My month of “Taking BACK My House” continues… Unfortunately I have missed a few days, so I will have some catching up to do in October. BUT I am seeing significant progress and I’m extremely excited to have an organized home! The biggest task on my list (outside of my garage) was my pantry. I’m happy to report that I cleaned it out almost 3 weeks ago and it has stayed that way ever since. 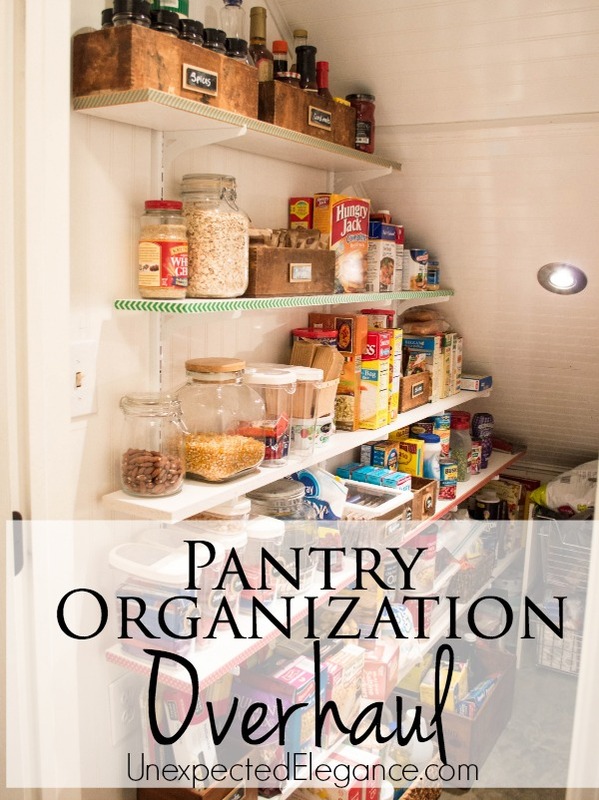 So here are some of my tips for a complete Pantry Organization OVERHAUL! If you haven’t organized your pantry in awhile, the best way to start would be to take everything out and start from scratch. This way you can take stock, toss items that are out-dated, and donate items that are still good but you know you won’t use. Give the pantry a good cleaning, and then begin. 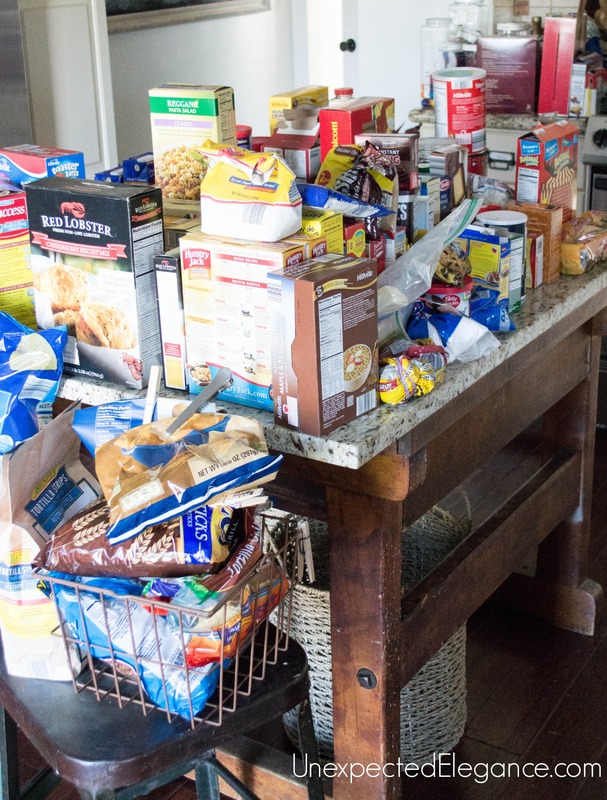 You should now be looking at just the items you plan on putting back in your pantry. 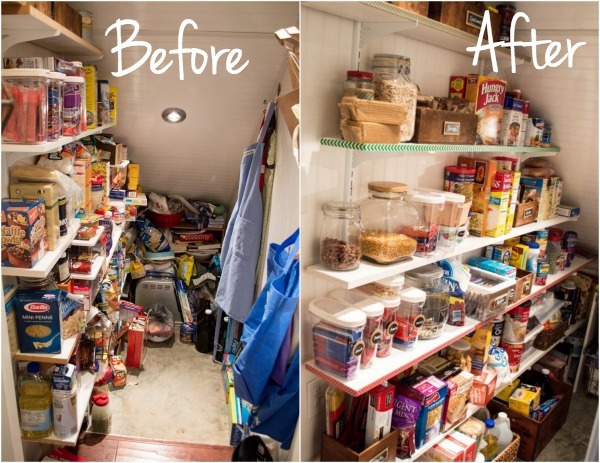 How do you want your pantry to look? 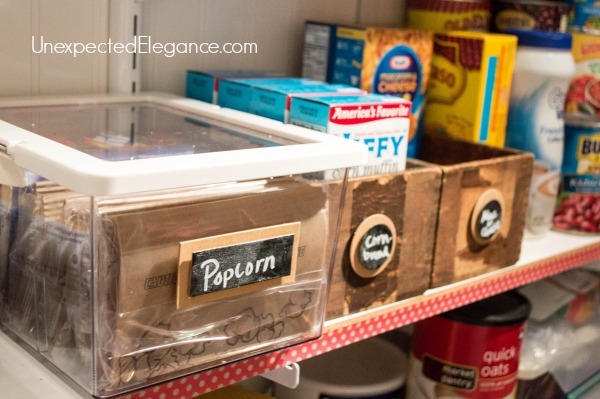 Of course, you may not have a huge walk-in style pantry, or even a full size pantry closet. Whatever you have in your kitchen to store your food and other kitchen items is considered a pantry. The good news is, even without a fancy pantry, you can have great storage and a very functional pantry area. Start by looking at magazines, on Pinterest, and around the web for unique designs. 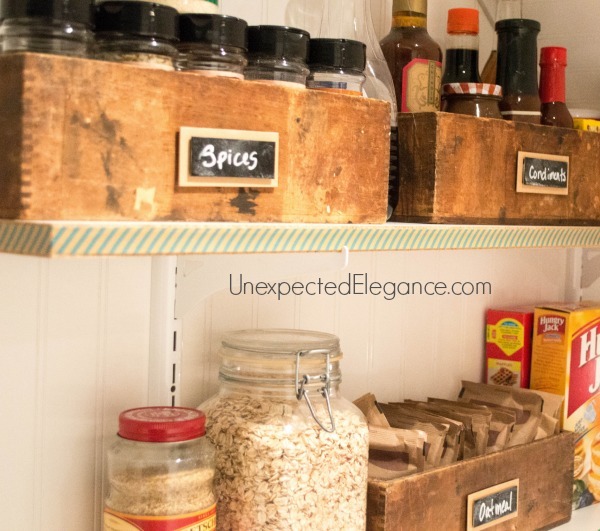 But, most importantly, look for inspiration to create an organized pantry for your particular needs. 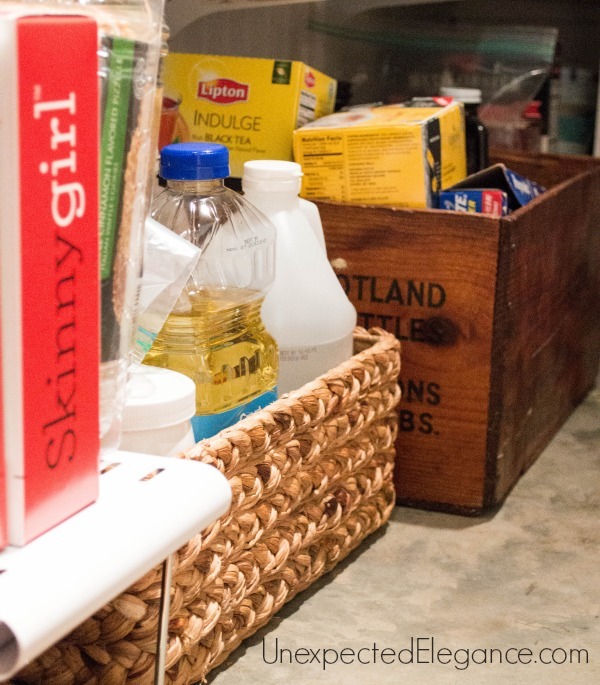 If you have a small pantry, try to arrange it so you have the most frequently used items stored up front and center. If you buy large bulk items, you might want to store those in another area. It all depends on how much room you have in your pantry. You may need to store your less frequently used items in the same area with the things you need every day, so consider dividing your pantry in half. Have a front and a back section using organizing shelves, racks, and containers. Put the more often used items in front and keep the less used items in back. In order to more easily reach the things in back when you need them, put the items in front in containers that you can easily remove when you need to. If you buy large quantities of dried food items (we shop for certain things that we use often from Sam’s Club), find food-grade quality containers and store your bags of beans, rice, etc. in something with an air tight lid. Store these items on the floor or stack them in a separate closet area. Keep a smaller airtight container in your pantry with some of the dried food items for your more frequent cooking needs. Your pantry may have fixed shelves, or just may not have enough variety to adjust the heights quite right. Stacking organizers are made to create multi-levels on each shelf. You can build a couple higher levels toward the back of the shelf to put smaller items on. Then when you put larger items in front, the items on the back are on a ‘stage’ and you can easily see them peeking up over the row in front. 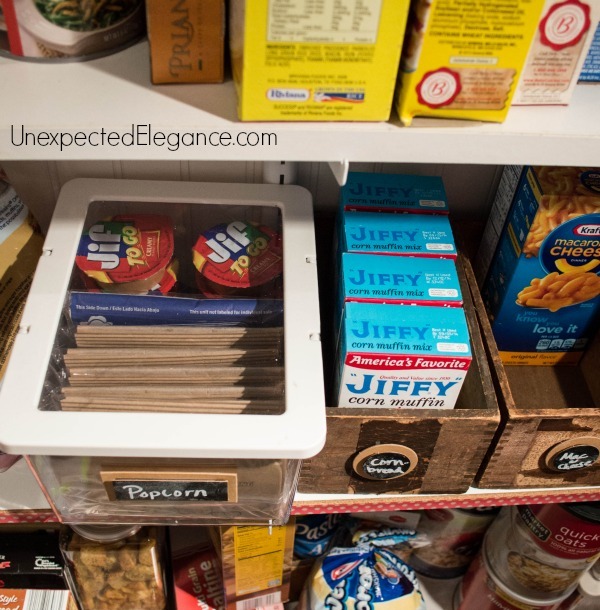 Plastic storage containers are always nice, but using clear ones makes them especially handy in the pantry. You can easily see what you have before you pull it out and take off the lid. Look for square or rectangular containers to best utilize the space and all the corners. If you live near an Ikea, I suggest checking out their kitchen storage area. They have pretty good selection and REALLY good prices. Stick big labels on them to inventory what’s inside for even more organization and convenience. 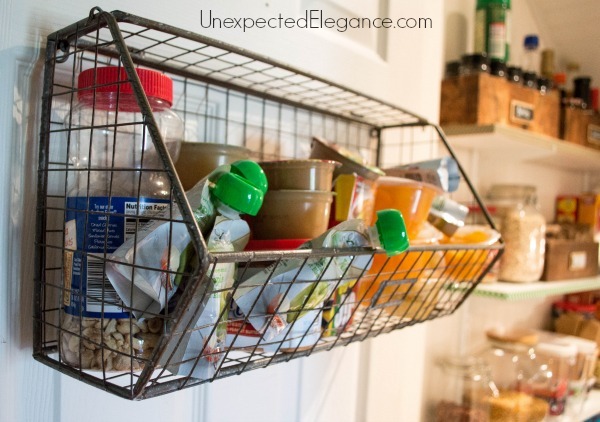 An assortment of decorative baskets is nice when your pantry is visible. You can get baskets with covers so you can stack them. Look at craft stores and resale shops for some of the best prices on baskets. If you still want to go with plastic storage, but don’t want your pantry items visible, choose solid color plastic bins. After the time and effort you put into getting your pantry organized, you don’t want it messy again. Make sure you have all family members on board. “Train” everyone that there is a place for everything and everything in its place. Believe me it will take a little extra work from you for a little while to remind them, but it’s worth it in the long run! Have you been on this organizing journey with me? How’s it going…I’d love to hear from you!! What an amazing job you did! Very impressive and will be so much faster and easier for you and your family to get in there and find things! Thank you so much for sharing this with us! Do you remember where you got the wire basket you show hanging on the back of a door? Thanks!